Recently, two old friends posted pictures of me on Facebook from my senior year of high school. And they were two friends who were friends with each other, and I actually met one through the other. Both have been very important in the story of me. This was the first picture. I don’t know what we were doing or where we were. I do know that the picture, while not inspiring memories of one specific event, evoked a plethora of memories last night and today, along with the realization that my daughter looks so much more like me than I realized. 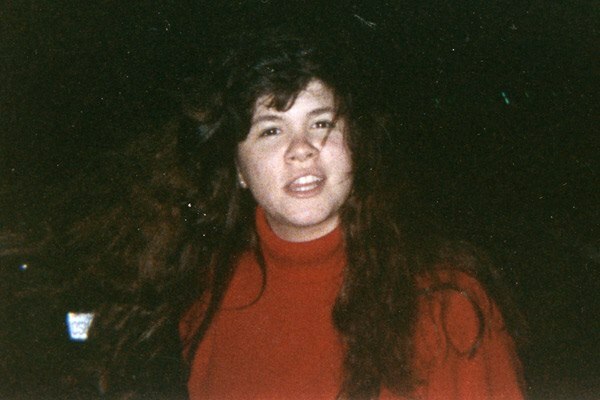 And that I wished I had appreciated the head of hair I was blessed with when I was younger! Now I don’t know what kind of statues the military has, but I won’t name the location of the barracks that was taken in, nor whose room it was. 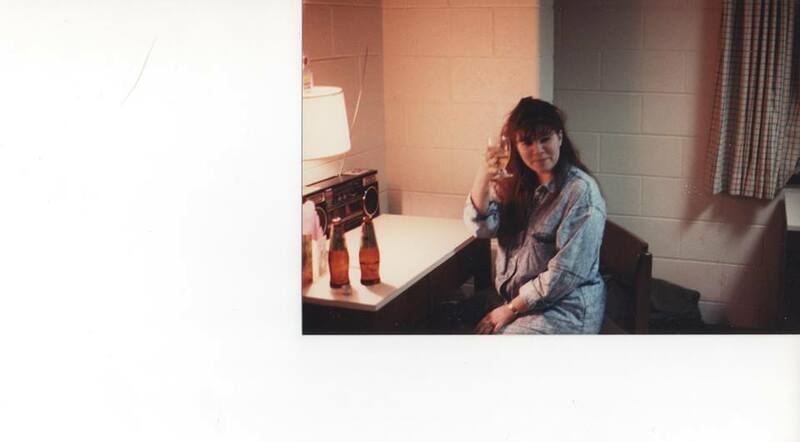 I’m pretty sure that after 25 or so years, the statute of limitations has run out on the fact that I was drinking at 17 there. I don’t think I drank all of the beers on that desk, though. But I won’t swear to it either. Nor can I say I can remember exactly which night that was, as it wasn’t the only evening spent there. It’s amazing the memories that can be brought up by seeing a picture of yourself from so many years ago. Specifically, a casual, non-posed one where you are relaxed and enjoying life. I do know that year was a very important one for me, not only because it was my senior year of high school. It was an incredible year, which I was fortunate enough to recognize shortly thereafter. I was young, confident, happy. In so many ways I was so very innocent, even though if you’d asked me then, I would never have agreed with you. But knowing what I know now about life and the world in general, I was so very, blissfully innocent, and happy. Funny, it just hit me that I know I had my share of teen angst that year, as we have all had. Yet when I look back, I don’t remember it unless I think really hard, and then it’s just so softened. At the time I’m sure it was more serious to me. Old friends, good friends, pictures and memories. Keep them all close to your heart and you’ll always find a reason to smile. I just watched Stepmom. I shouldn’t have turned it on when I was flipping channels. But it’s a beautiful movie. Maybe I needed a good cry. For those who don’t remember the movie, or haven’t seen it, it came out in the 1998, starring Susan Sarandon and Julia Roberts. Sarandon played a divorced mother of two, and Roberts was her ex-husband’s young girlfriend/fiance. Of course, they didn’t get along in the beginning. But Sarandon was harboring a secret from her ex and her kids – she was fighting cancer. Eventually, it would come out and they would grow close. The first time I saw the movie was with my Stepmom, Eileen. She and my father had come down to Houston to visit, and while he was out playing poker with his friends, we decided to go to the movies. We went to see You’ve Got Mail, and afterward snuck into another movie, Stepmom (her idea, not mine, I would never have done that not have suggested to her that we do that. (See my halo?) We didn’t know what it was about, and missed the beginning. As we were sitting there in the dark theater and caught up with what was happening on-screen, we realized that the situation in the movie hit too close to home and it was probably as uncomfortable for her as it was for me. Of course, not wanting to make her feel more uncomfortable, I was trying to stifle my tears, which were definitely flowing. Mind you, she wasn’t younger than my father and she had come into his life after we lost my mom. However, it was still close enough to home since my mom had died of cancer 9 years before. Watching the movie again tonight, this time with kids of my own, touched me on different levels. I pray my kids never have to go through what I did – I fully plan to live forever. Grin. Ok, while I know I can’t shield them from the pain of losing me forever, I mean I hope they won’t have to deal with that loss until they are grown with kids of their own, who are also grown. Maybe even grandkids of their own. Great-grandkids would probably be stretching it. Anyhow, in the movie Sarandon is talking with her daughter (middle-school age, again, hitting close to home tonight) about her not being around in the future. She told the girl that she would always be with her in her mind, that that was how people stayed around, when she graduated, she would be there, when she got married, she would be there, when she had her babies, she would be there. And I found myself talking to my mom. You WERE there when I graduated (in my case, from college, as I was lucky enough to have her until the end of my freshman year of college). You WERE there when I got married. You WERE there when I had my babies. Even though I so desperately wished she had been there physically with me, I had felt her with me at all of those times. I had almost forgotten the memory of watching that movie with my stepmom. We lost her 2 short years later. That was just a random day in our brief history, not one of the bigger ones which come to mind when I think of her. If it wasn’t so late, I might have a drink in her memory. She liked white Russians. Too bad I don’t have any kaluah.